A Zika outbreak in the U.S. is not anything to panic about. We should still spend the $1.9 billion to fight it, though. Zika was first discovered in the 1940s but is only now being considered as more than a nuisance virus. 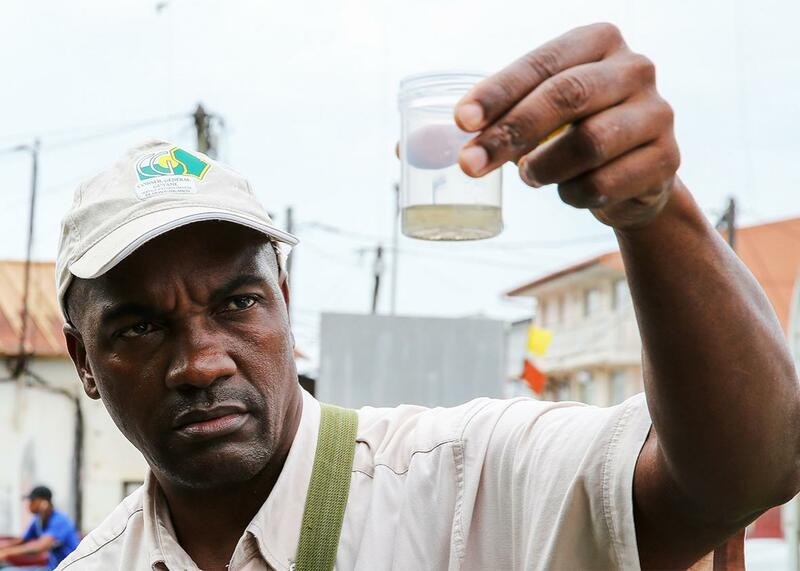 Above, mosquito larvae collection in French Guiana on Feb. 19. When it comes to an emerging contagion, it’s often difficult for the news media to deliver a balanced message. Inflammatory health scares are generally not the fault of a public health official trying to provide the facts but the media megaphoning said facts and using the official for hyped soundbites. Never has that been truer than with the current rise of the Zika virus in the Americas. With Zika, it is hard to comprehend the extent of the threat because it is a virus that causes little or no symptoms in the vast majority of people who acquire it from a mosquito bite, and yet at the same time it carries the rare risk of birth defects, especially those involving the brain. Pictures of afflicted babies are what garner attention, not the multitude of Zika sufferers who get better without complications. Dr. Anthony Fauci, director of the National Institute of Allergy and Infectious Diseases and long one of the country’s top infectious disease experts, has repeatedly attempted to deliver nuanced messages about Zika—and for the most part, he’s done so effectively. Unfortunately, this past Sunday when he said he expects limited outbreaks in the U.S. this summer, all anyone heard was the word outbreak. But Fauci has told me that the problem and solution lie in mosquito control: There cannot be a widespread outbreak unless the virus takes hold in the local Aedes aegypti mosquito population, and he does not expect that to happen. He points to evidence that a related virus, dengue—carried by the same mosquito—has become widespread in other parts of the world but never here in the U.S. Nevertheless, everyone sees the poor infants with the tiny heads and the most common question becomes whether women should stop becoming pregnant altogether until Zika blows over. On the surface this may seem reasonable, but in reality there is zero risk to any woman of childbearing years who wants to get pregnant here at home. Recent evidence that sexual transmission is greater than previously believed also spreads fear—even though it is coupled with the fact that there is also zero evidence or scientific concern of sustained sexual spread. Fauci supports President Obama’s $1.9 billion proposal to Congress to fight Zika. He says that without this allocation, money will have to be taken from other budgets to cover costs for the fight against Zika, which could lead to underfunding. He has also told me that the National Institutes of Health should have a vaccine ready to begin testing within the next year. A useable vaccine is not only crucial for public health purposes; it will also help fight the fear of the emerging infectious disease. Zika was first discovered in Uganda in the 1940s but is only now being considered by international public health officials to be more than a nuisance virus. There is, for the first time, an epidemic in Brazil, and throughout Central America and the Caribbean, where the culprit mosquito is plentiful, so this heightened awareness makes sense. But the reaction is overly elevated because the risk to unborn children has yet to be quantified, both in terms of time of greatest susceptibility, and extent and frequency of brain injury. Not knowing the extent of a risk spreads uncertainty—which spreads fear. People who are afraid personalize the risk and believe they are bound to be the virus’s next victim, whether they are pregnant or not. It is too easy to forget that 80 percent of the time Zika causes no symptoms, and that in the remaining 20 percent, the symptoms are mild flu-like symptoms. No one dies of Zika and though it may be rarely associated with Guillain–Barré syndrome (ascending paralysis), this fear is way overblown. Don’t get me wrong, I am not against the $1.9 billion that has been requested (and has stalled in Congress). What we do know about Zika in terms of its ability to cross the placenta and attach itself to developing nerve cells is enough to warrant the $1.9 billion, funds which are bound to be properly spent with Dr. Fauci in the driver’s seat. When I wrote my book False Alarm: the Truth About the Epidemic of Fear 10 years ago, I devoted a section to health scares. I talked about Fear Guides, experts who understand that worry over a virus is far more contagious than the virus itself and therefore adjust their public health messaging to adequately address both problems. Dr. Fauci has become such a guide. We need to provide him with the funds to enact his plan. And we would be wise to listen to his full counsel rather than clip his words for scary video. Read more in Slate about the Zika virus.